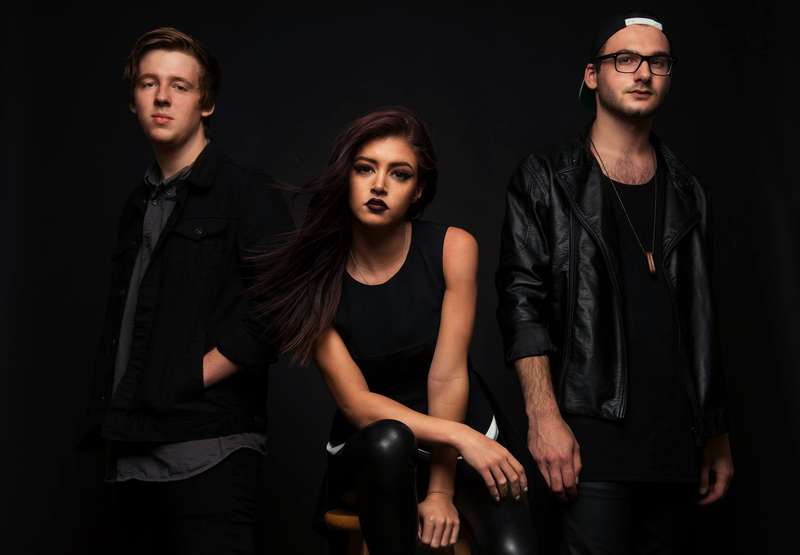 Against The Current have been on our UpRising radar for months now, and we were hoping to get ahold of them for an exclusive, but their schedule is just that overpacked. This only proves even more why they’re such a perfect pick for UpRising band, and why we simply couldn’t wait any longer to talk about them. If I could, I’d make a giant flashing neon sign that reads: “Do not wait on this band”. Against The Current first popped onto my radar by way of a friend sending me a YouTube cover of The 1975’s “Chocolate” and yelling at me about how awesome this band was. And boy, was she right. It’s not just their covers that are worth checking out, although they’re pretty damn spectacular—their version of “Uptown Funk” with Set It Off is better than the original (yeah, I said it). Every ATC track is beyond electric, captivating, and an instant favorite. It’s hard to believe they’re real, just because it’s so rare to find a band with so much spark. What’s not so hard to believe, however, is that they managed to tour the world before even releasing a full-length; yup, they’re just that good. Fortunately though, the wait is over: the highly-anticipated record In Our Bones arrived in May, just in time for their stint on Vans Warped Tour. Everything about this album represents ATC perfectly—from its anthemic choruses destined for stadiums where vocalist Chrissy Costanza’s powerhouse voice truly shines; to the band’s total badassery in the form of “Running With The Wild Things” and the ready-for-summer “Forget Me Now”; to simply the way their music makes you feel: like your heart wants to break out of your chest from the exhilaration, and how you must suddenly tell everyone about them right this second. I first saw them in a tiny 275 capacity venue in London where their incredible sound was already too big for the intimate space they sold out. In less than a year they returned to play to 2000 people—and this isn’t even their home country. Given that trajectory, I’d highly recommend seeing them, like, last year. But if time travel ain’t possible for you, get to know them now, so you can watch their meteoric rise to stardom, and help me make that neon sign.